Christmas is coming and a Christmas mood along with it. 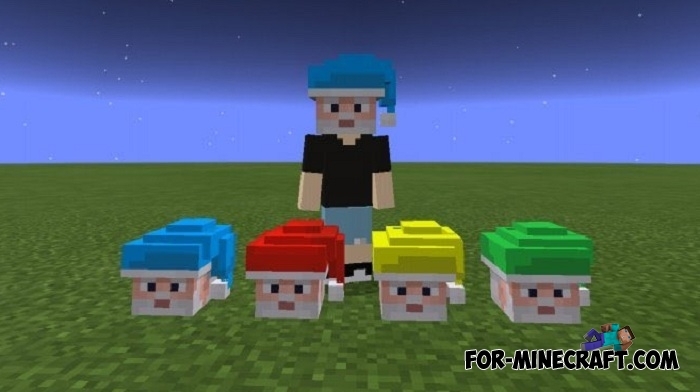 The Hats addon adds 4 stylized colored hats to Minecraft PE. I think there is no need to explain what they are intended for and how to put them on, just add one to the slot for helmets and masks. The dressed hat has no effects, but your model looks much more charming and friendly. 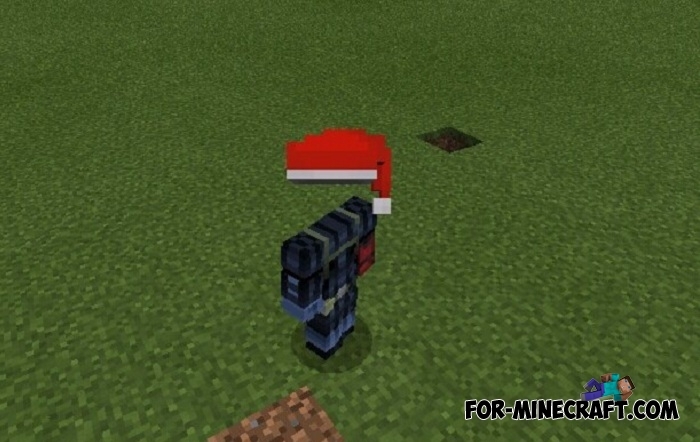 During the game on Minecraft Bedrock servers, these hats can be used as an indicator for other players. Each team of players must wear only one color of hats that should be tried in mini games. The Tails and Ears addon can also complement your character, or rather his head. How to install the Hats addon? Dyable tails and ears for MCPE 1.2No, this is not an addon, the creator acted simpler and replaced some elements of armor with ears and tails.